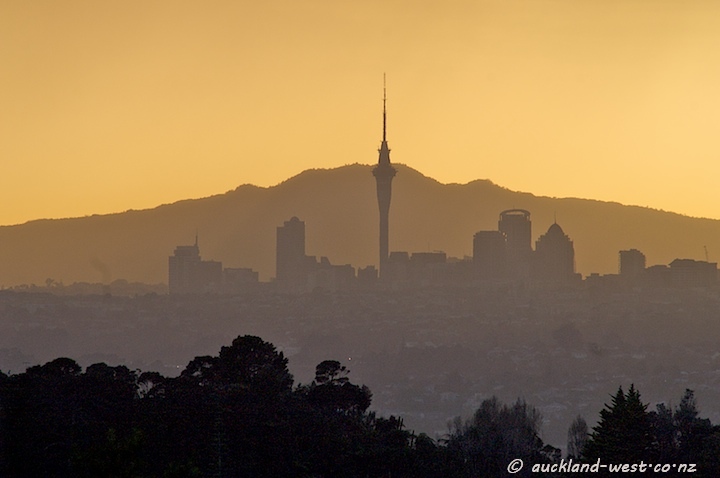 One morning recently, I went to the Arataki Visitor Centre, hoping to take pictures of the city of Auckland in the morning sun. Alas, the background was bathed in the gold of the morning, but the city was under a massive cloud. Still, I found the result intriguing. 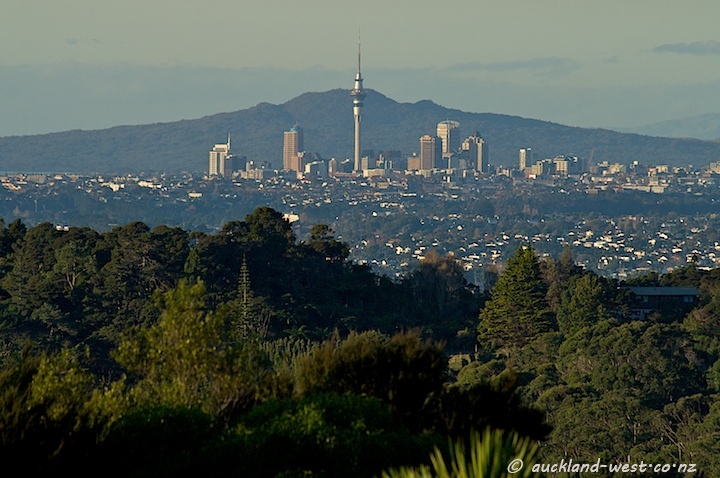 From front to back: bush, suburbia, cityscape, and the volcanic Rangitoto Island as backdrop (the Sky Tower being the centrepiece). Below is an image taken late afternoon a few weeks ago.